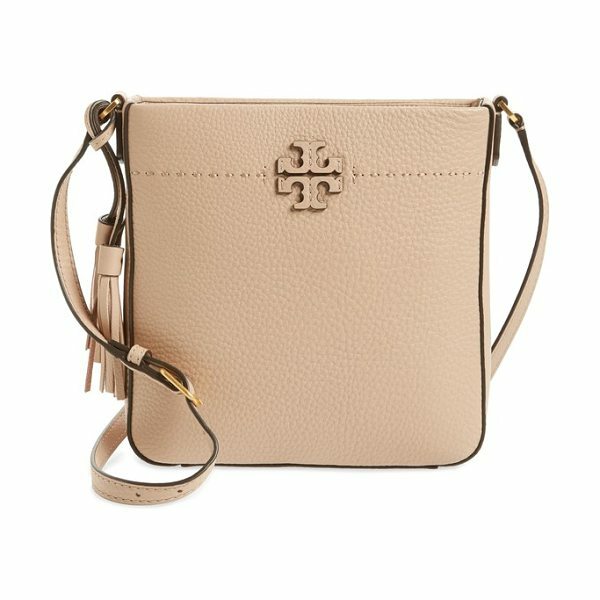 A pebbled-leather tote branded by stacked-T logo appliques features a swingy side tassel and an adjustable crossbody strap. 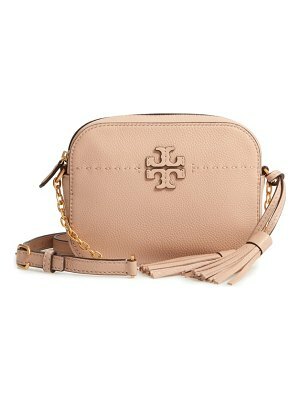 The structured silhouette and flat base ensure the style won't slouch over when you set it down. 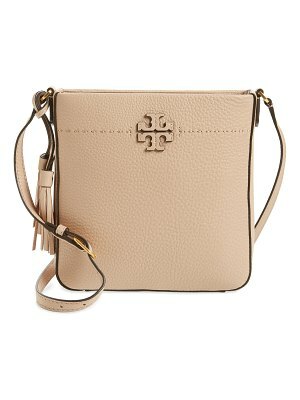 Style Name: Tory Burch Mcgraw Leather Crossbody Tote. Style Number: 5541366. Available in stores.